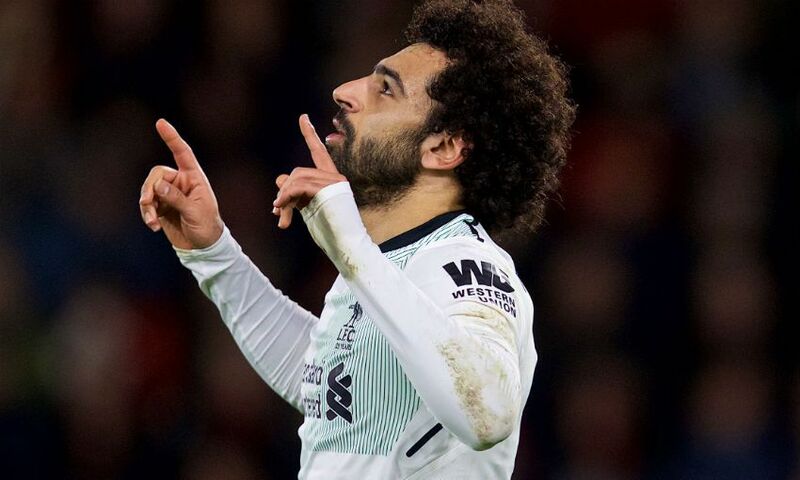 Mohamed Salah is relishing the prospect of a ‘special’ clash with Manchester United - and Liverpool’s top scorer is aiming to take all three points from the game at Old Trafford. The Premier League’s second and third-placed teams will face off on Saturday, with United holding a two-point advantage in the table ahead of the arch-rivals' latest meeting. Salah, though, is hopeful of overhauling that narrow lead this weekend. “It’s a special game. Second and third play against each other so everyone plays for the three points,” the prolific forward told Premier League Productions. Four goals in three appearances saw Salah named Premier League Player of the Month for February on Friday - the latest in a lengthy list of individual accolades he has collected this season. The No.11 has scored 32 times in just 39 appearances across all competitions in a phenomenal debut campaign at Anfield, but he is focused solely on helping Liverpool achieve their collective aims rather than amassing personal prizes. “I’m enjoying the season, but the players make it easier and the boss also makes it easier for me,” Salah said. “We had a good season so far because we’re still playing in the Champions League and in third position in the Premier League. We’re fighting to be in a better position. “But as I said, results are the most important thing. I’m doing good and I feel good with the team and I’m trying to help the team always to get points.